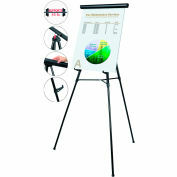 Evolution Series offers a product line of elegant presentation systems. Their smart design and clean lines will fit in any space. 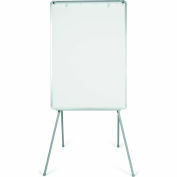 Durable and versatile they, are perfect for classrooms and all training environments. 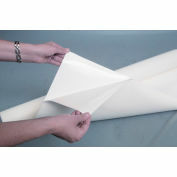 Mobile and practical to use, they ensure the audience's attention while adapting to any room. 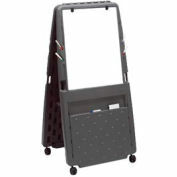 Portable with easy glide locking castors for full mobility. 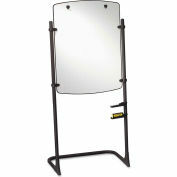 Magnetic steel Gold Ultra surface on both sides with a 10 year surface warranty. 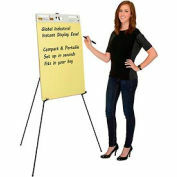 Extra large steel repositionable pen tray can be positioned in different places. 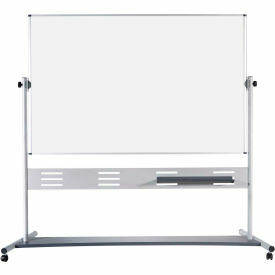 Steel tubular frame and support bars make this one of the most stable large mobile easels in the marketplace. 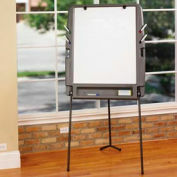 Plastic removable easel pad clips included.